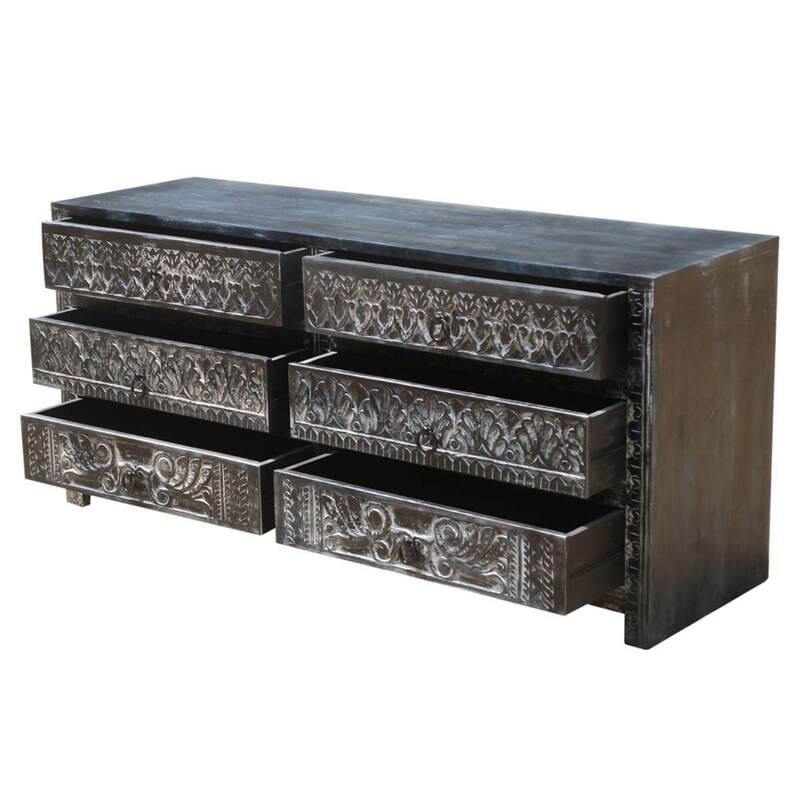 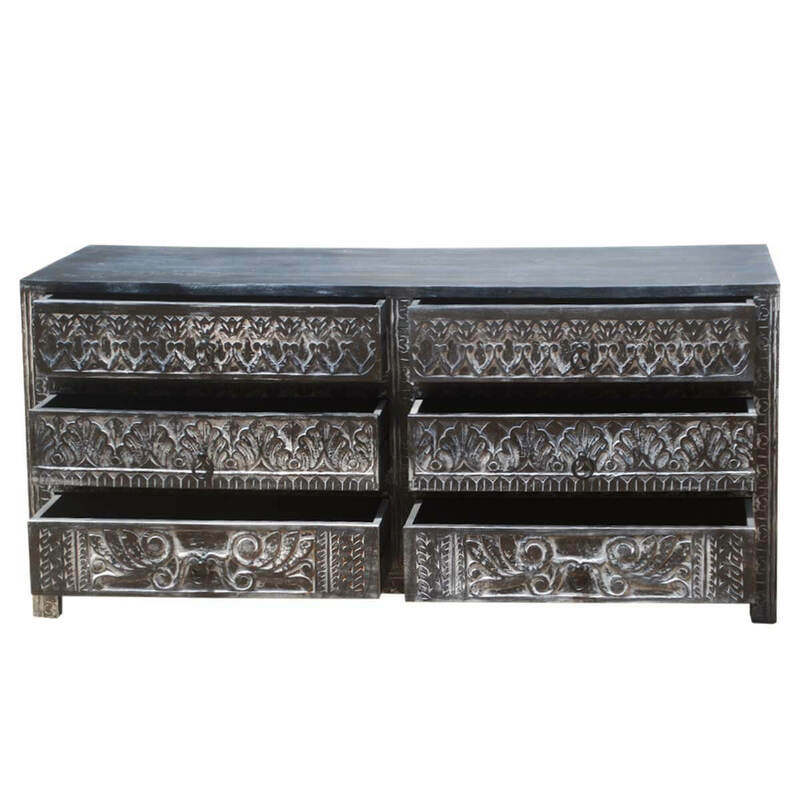 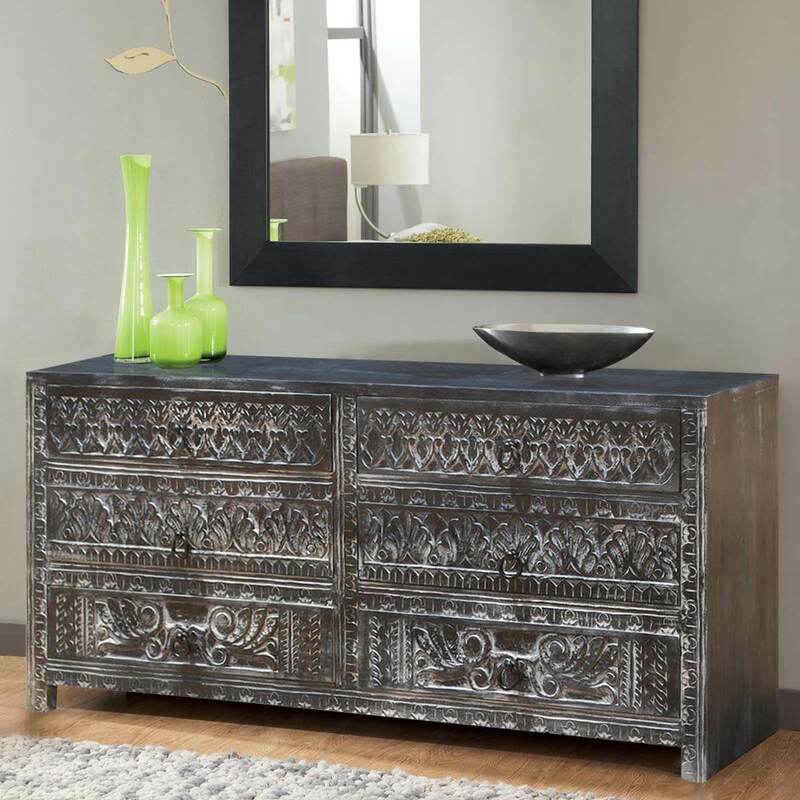 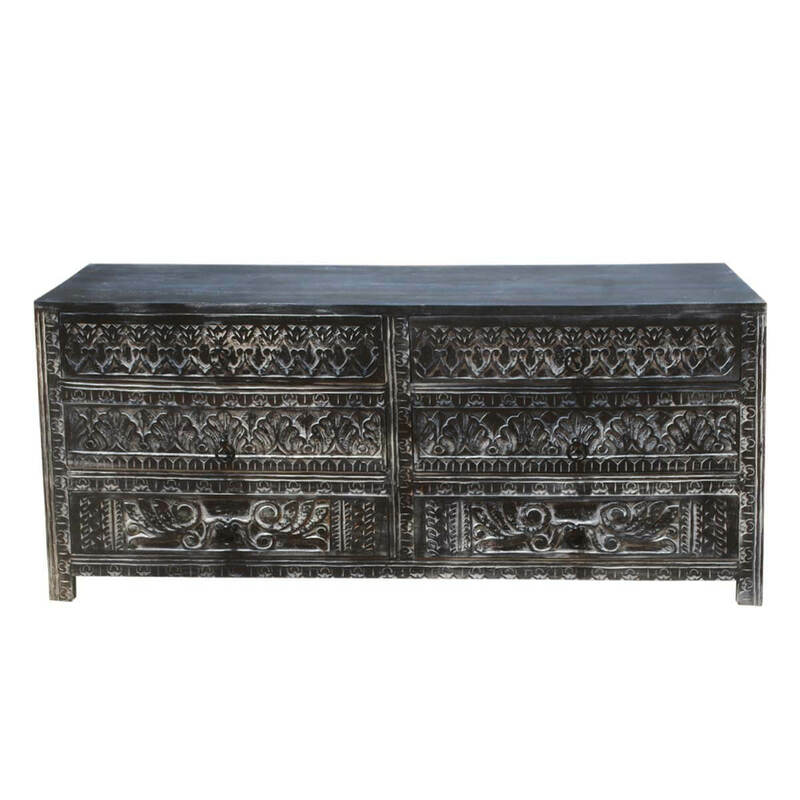 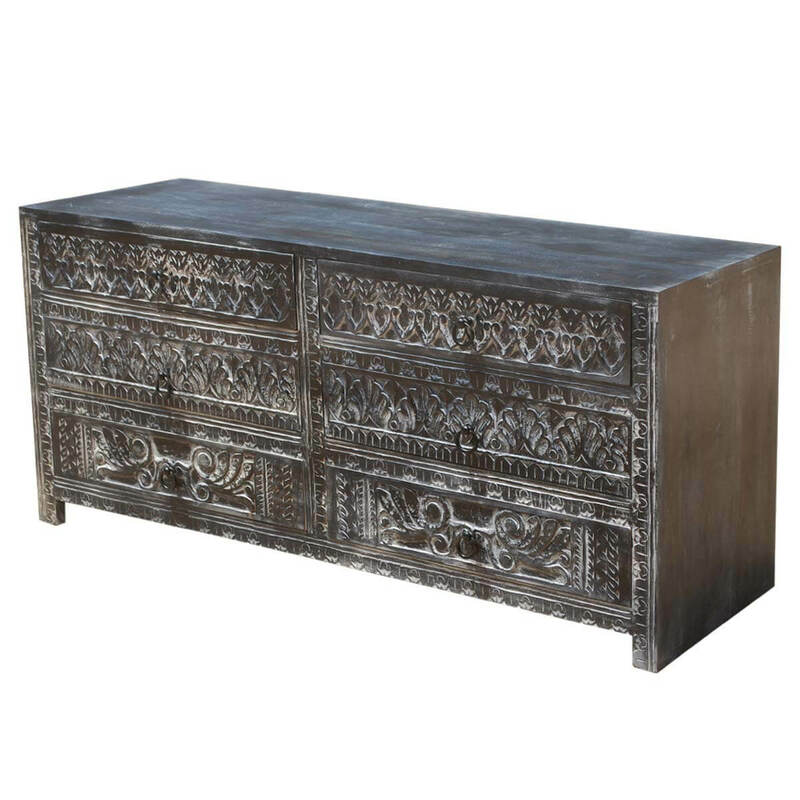 Intricate hand carved drawer fronts and a white frosted finish softens the ebony finish of the Midnight Shadows Mango Wood Hand Carved 6 Drawer Double Dresser. 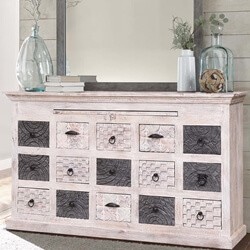 This bedroom dresser measures 68" long, 31" high and stands off the ground on extended sides. 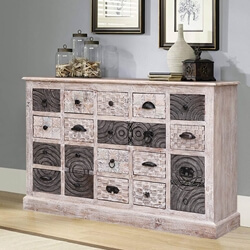 Each row of drawers is decorated with a different pattern. 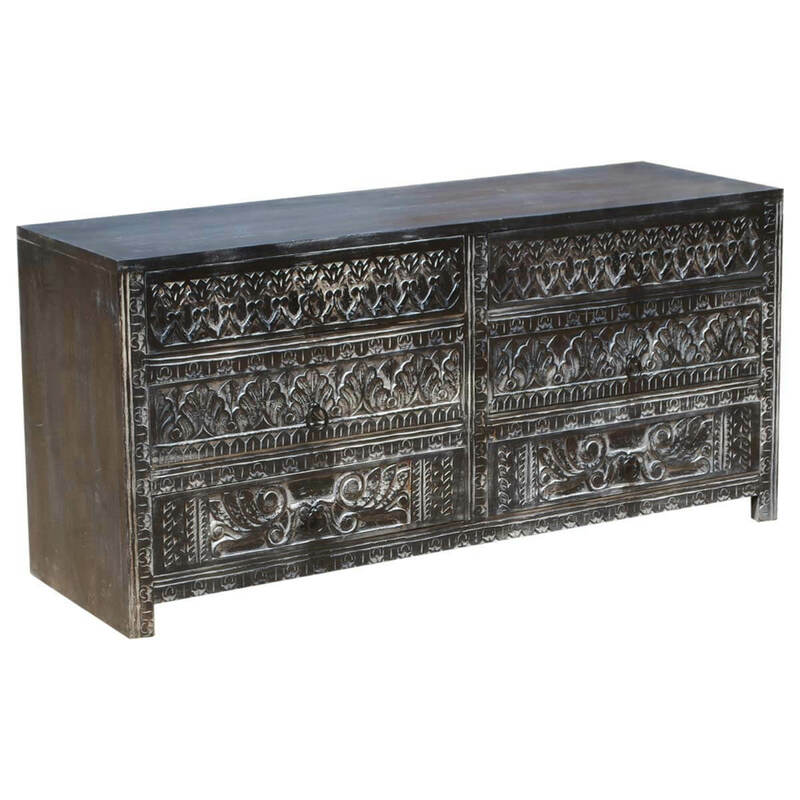 The dresser top is flush with the edges. 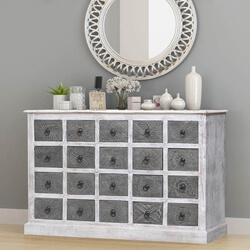 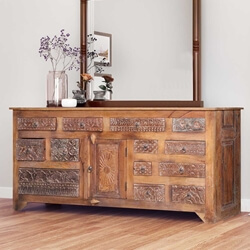 This dynamic rustic dresser is built with solid Mango Wood, a tropical hardwood grown as a renewable crop.